Corporate events often have similar ambience and feel to them. If you have been to one corporate event, you know exactly what the next one will be like. The mundane experience is often a deterrent for participants, unless the event manages to attract and book well-known speakers and panelists. This is the reason event managers today are trying to instill more life and make corporate events unique. 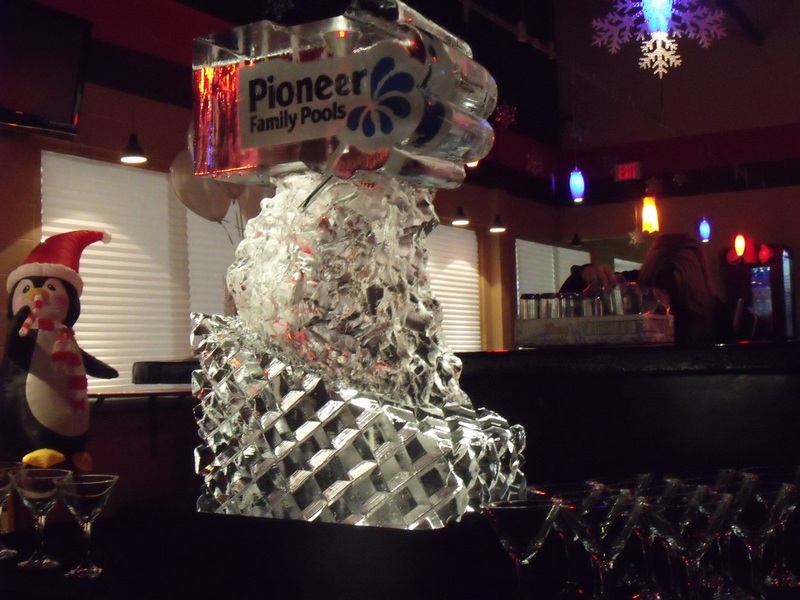 One of the best ways to give corporate events an air of excitement and distinctiveness is by using ice. As an event manager, you can come up with novel ways to use ice and still maintain the decorum and formal ambience of the event. If you are struggling for idea, here are some on how ice can truly make a difference to any corporate event. In fact, using ice can make your corporate event special and make you the talk of town. In corporate events, both beverages and food play an important role. In many such events, these edible items are being used to display message or increase brand awareness. One of the best ways to make a corporate event memorable and talked about is to use food and beverages to make corporate logos. Not only will the logo amaze the participants, it is a fabulous way to ensure your logo and brand get imprinted in the minds of the participants. Using food and drinks to make logos is a unique way to add more to an otherwise ordinary event. Most corporate events do serve alcohol as a part of the event. It is a common thing nowadays. However, usually alcoholic beverages are served through a bar wherein participants either have to resort to self-service or a server brings the beverages to their table. As an event planner, you can do away with this routine. Today, there are sculptors who can make dazzling ice luges on-site. These customized and tailor-made luges can be made live to keep guests and participants enthralled. They will be riveted to see the sculptor at work, who gradually reveals the company’s logo with each stroke of the chisel. This live sculpturing can become the centerpiece of the event and when it finishes, the centerpiece can be used to dispense drinks to guests. Not only will it make the event more fun, it will make it unique and special, something guests and participants will be talking about for a long time to come. The live luge sculpting will help you achieve corporate branding effortlessly. The world of event organization is constantly evolving. There is an attempt to make events unique and special. And, one way of doing it is by using new concepts. One such novel and fresh concept is making logos with ice popsicles. Not only does this add a fun element to a corporate event, it also makes it different. When guests are served popsicles that are shaped by the company’s logo, they will take time to absorb and admire it before digging into it. And, if the event planner can arrange to have a branding message printed on the popsicle sticks, it will further reinforce your attempt to have successful branding. So, if you are an event planner or a corporate entity, it is time to think out of the box and make your event special and wonderful. Using ice can help you achieve this goal.